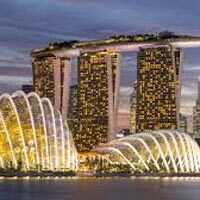 Home ›Tour Packages ›Singapore Tour Packages. On 2nd day, after breakfast, leave your hotel to partake in sightseeing. Drive across the ‘Colonial Heart’ to have a look at the Padang Cricket Club, close to a number of landmarks such as Saint Andrew's Cathedral, Supreme Court, City Hall and Parliament House. The next visit is to Thian Hock Keng Temple, the oldest one in Singapore. 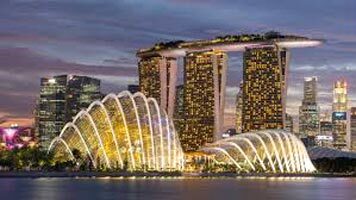 Later, you visit Merlion Park to treat your eyes to the amazing views of the Marina Bay. Thereafter, continue to National Orchid Garden, Little India and the local handicraft center. Stay overnight. Day 3, after breakfast is for a visit to the Sentosa Island, only over a few 100 yards from the mainland. Sentosa Island offers an amazing amount of entertainment through several fun activities. Admire the well-maintained gardens, lush scenery, musical fountains. Indulge in various entertainment options. Visit the 18-hole golf course offering some great views. Lastly, take a Cable Car Ride to Mount Faber, admiring nice city views. Stay overnight. On the 4th day, have your breakfast. Now you are free to indulge in the activities of your interest such as exploring the nearby surroundings on-foot, relishing the sumptuous local food, visiting the malls and the markets for shopping, visiting the nearby surroundings on-foot, and more. Another option is to go for a visit to the Universal Studios, an extremely popular theme-park. Stay overnight.